Build Your Own | What Next? The roof is one of my favorite places to take children when they visit the Winnipeg Art Gallery. They love the idea of being on the very top of the building. The roof top is closed in winter but lately the beautiful weather has meant we can be outside again. 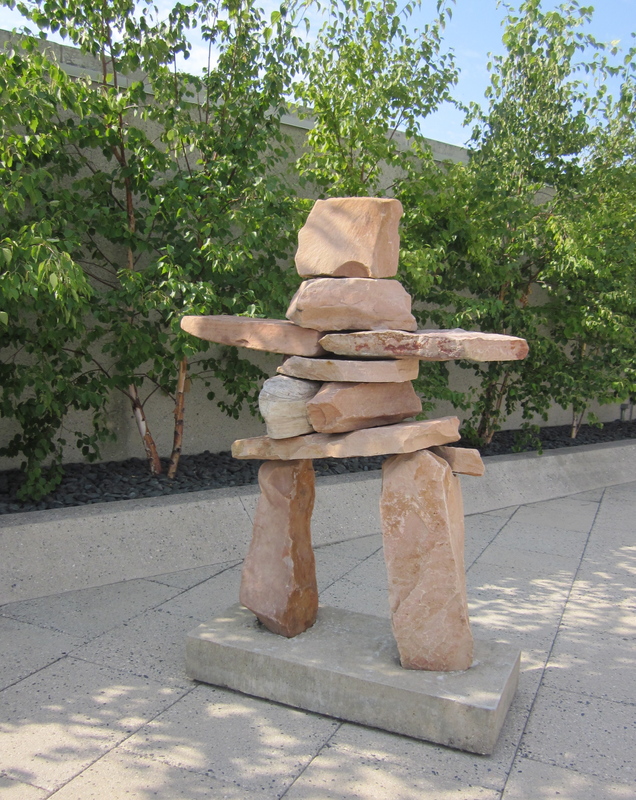 The signature work on the roof top is this inukshuk sculpture by Manasie Akpaliapik. The children and I look at it carefully and marvel at how the artist got all those uniquely shaped pieces of rock to balance. 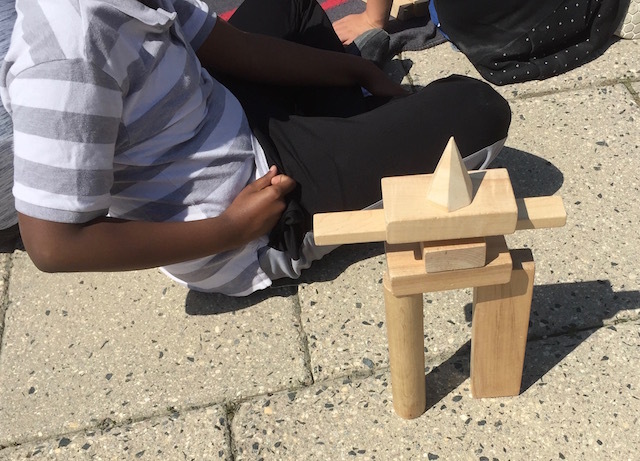 I use illustrations to discuss the different kinds of inukshuks built by the Inuit and the purpose of each one. Then I let some of the children try on the snow goggles that you might have used if you were an explorer in the Arctic searching for an inukshuk. The goggles which prevent snow blindness are a work of art themselves. 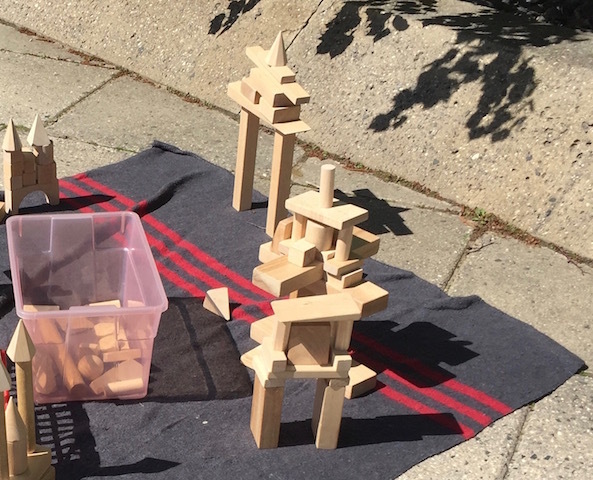 After that it’s time to let the children use baskets of blocks to create inukshuks of their own. 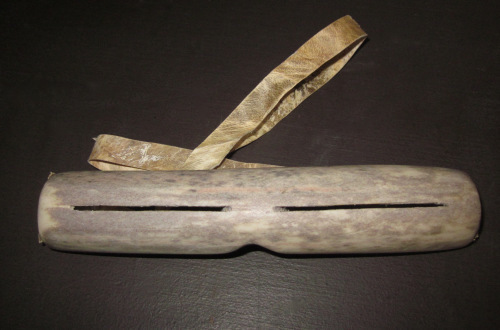 They come up with all kinds of interesting designs. 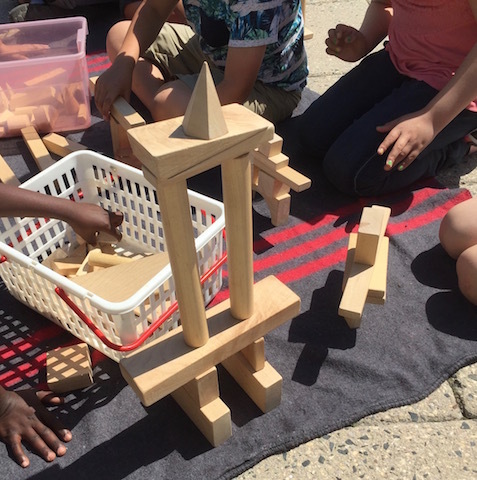 They gain a real appreciation for artist Manasie Akpaliapik’s work as they try to balance the pieces in their own inukshuk. 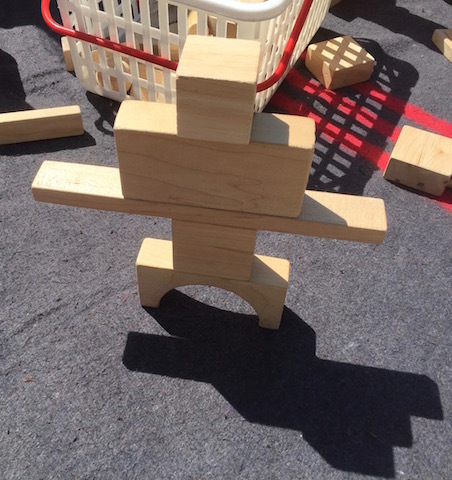 Last week I was marveling at just how creative all our young visitors to the gallery are, so I decided to take a few photos of their inukshuks. If you’ve never been on the Winnipeg Art Gallery roof top be sure to go up there on your next visit. If you let me know you are coming I can join you with our baskets of blocks.